Welcome to the Tanimoto Lab! We are a UC Santa Barbara solid-earth geophysics group. 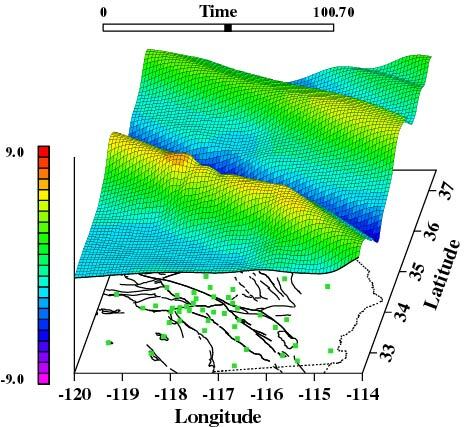 We are currently working on a number of projects including a new method to analyse dense seismic array data, the nature and cause of background free oscillations, and regional-scale surface wave propagation. Click down to the project page in the above bar and enjoy your visit. Let us know if you have any questions or comments. If you are looking for my friend, Ralph Archuleta, click here. Click on figure below for wavefield reconstruction project homepage.